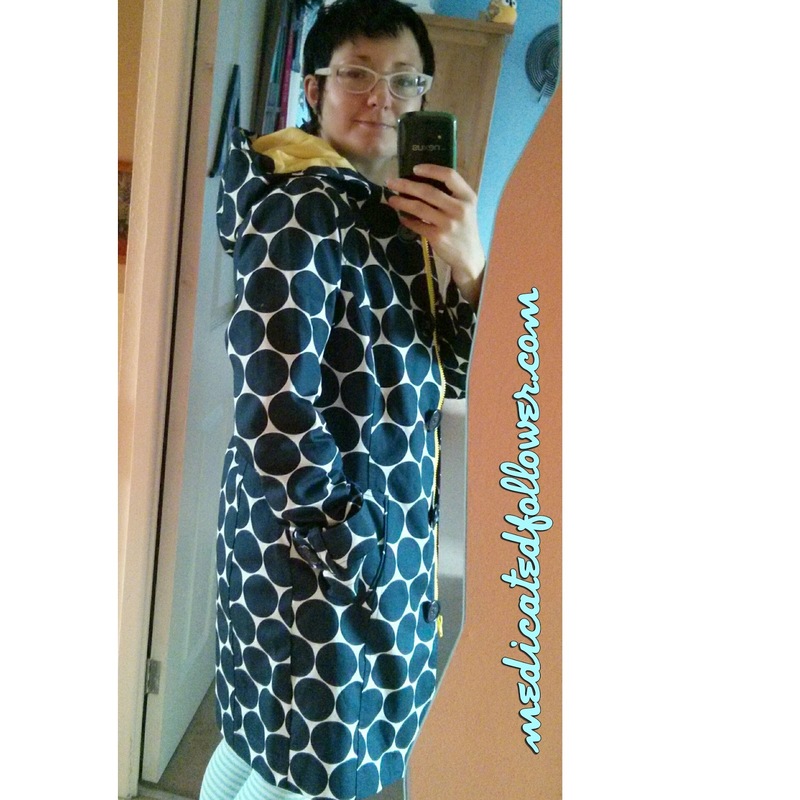 After sending back the stripy Boden Rainy Day Mac I originally ordered, I received my replacement, the navy spotty one, last week. On trying it on, I was much happier. There was something about the stripy design that I just didn't like on me. Luckily, I'm much happier with the spotty design. It's not as bright as I like my coats to be, but it looks really stylish & will compliment more outfits & colours. It also has a fantastic bold yellow lining & zip which makes it pop & really lifts the coat into something special. 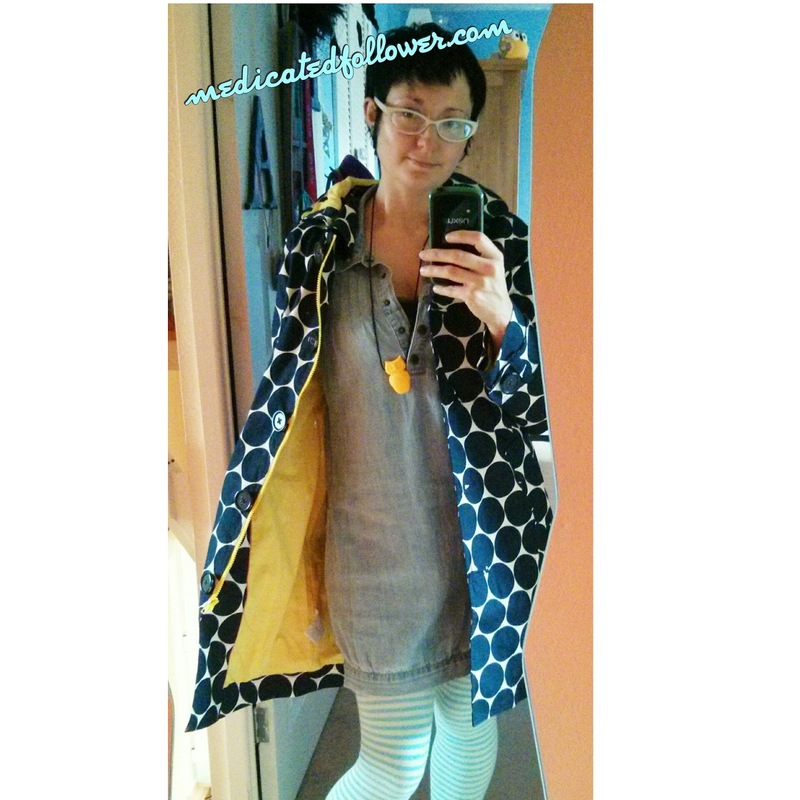 I took the coat on it's first outing on the school run this morning & I really am pleased with it! It looks fantastic I think. I felt confident in it & got a few compliments. Linking up today with Very Busy Mama for Real Mom Style. Go check the linky out! Thank you for linking up with Real Mom Style. Can't wait to see you next week.